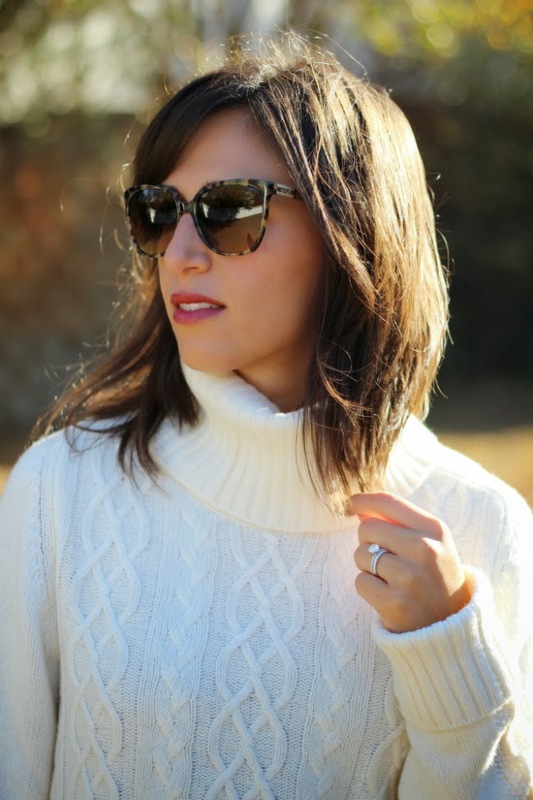 An oversized Turtleneck Sweater is one of my favorite pieces to wear in the fall. It's effortless and always in style. My sweater is from the Gap and I couldn't be more happy with it. I sized up and bought the sweater in tall to ensure it would have a slouchy fit and be long enough to wear with fitted pants. There are so many different price points if you're looking to purchase one of these fall staple sweaters. For under $70 (+35% off through 11/11), this sweater is hard to beat. 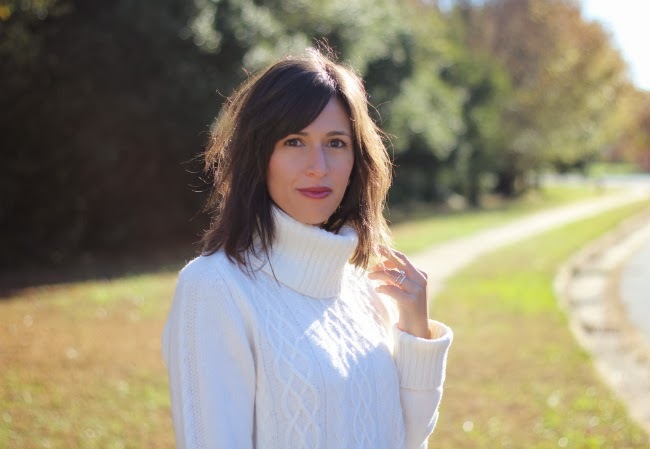 If you're up for spending more, the Alex Turtleneck Sweater by Joie is another clear winner. Either way, you cannot go wrong with adding this cozy knit to your collection! Shop the Look + More Sweaters! I love this outfit! That sweater looks so comfy and cozy and those booties are adorable! They're a great price too! I need those Gucci glasses! Love this! Perfect outfit and looks like a perfect fall day. Your photos look so nice. Go Dave. I love a good oversized sweater and Gap does a great job with it. Love the look! I need this sweater! Looks so comfy cozy! Love love love your outfit! I am a new follower of your blog!! Love this post and the whole outfit! It looks so put together but comfy at the same time :) I enjoyed meeting you last night at The Charlotte Social event and hope to see you again in December pretty girl! And your business cards are to die for! Oh and I nominated you for the sunshine award so be sure to check out my blog post from today! You are always sporting outfits that I keep thinking I cannot try but I should really just give them a shot! I love my cafe capris from J.Crew and they're about the same length as these pants and I am having a bear of a time trying to transition them. So pretty- you looks cozy and chic. Stopping over from Friday Fancies! 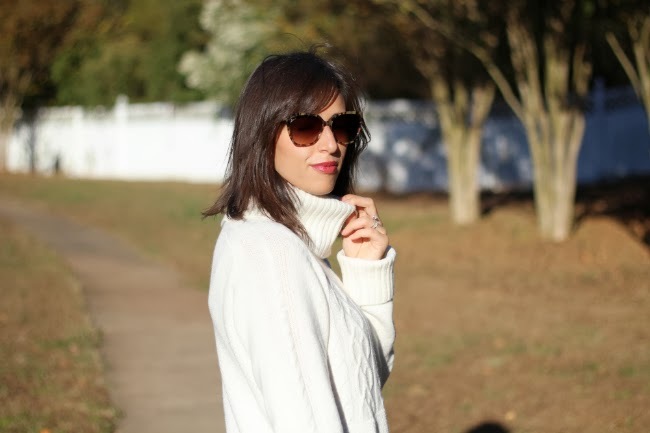 I'm not much of a turtle neck fan but I do love chunky sweaters. I spotted your post on Friday's Fancies. I love the oversized turtleneck. It looks so cozy. You're right--you really can't go wrong with Gap!